Filed to: man from u.n.c.l.e.Filed to: man from u.n.c.l.e. It's been a long time since we heard anything about Guy Ritchie's big screen reboot of the 60s classic Man from U.N.C.L.E., but here we are with the first official still. I actually think Armie Hammer looks pretty great as Illya Kuryakin. There was a long casting process for this project, with the project starting out life as a Steven Soderbergh project with George Clooney starring. When Clooney left, a vast array of stars were mentioned: Joseph Gordon-Levitt, Ryan Gosling, Channing Tatum, Alexander Skarsgård, Ewan McGregor, Robert Pattinson, Matt Damon, Christian Bale, Michael Fassbender, Bradley Cooper, Leonardo DiCaprio, Joel Kinnaman, Russell Crowe, Chris Pine, Ryan Reynolds, and Jon Hamm. 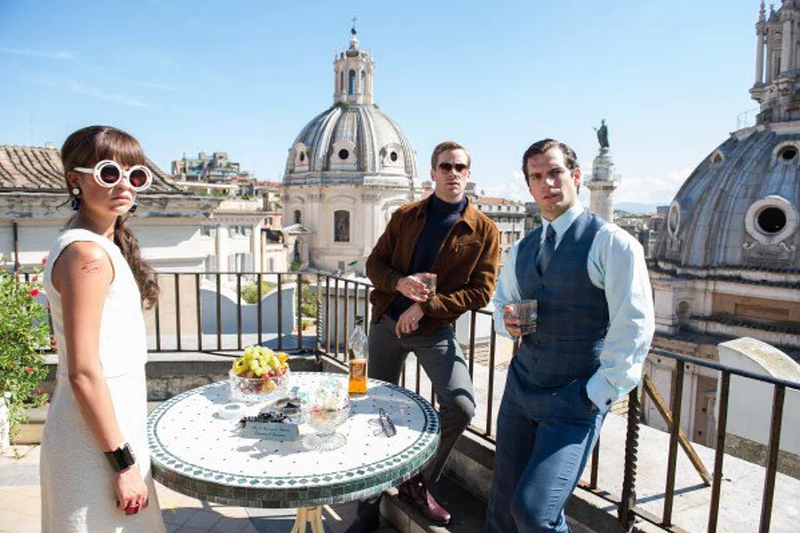 The film was finally resuscitated with Guy Ritchie at the helm and Henry Cavill and Hammer starring as Napoleon Solo and Kuryakin. The set-up sounds suitably Man From U.N.C.L.E.-y, with Illya and Napoleon teaming up to stop a mysterious international crime syndicate's (THRUSH? It's THRUSH, right?) plan to gain power by spreading nuclear weapons. As in the case of the show, the two agents have a civilian who is the key to the operation. In this case, the daughter of a vanished German scientist. No lie, I'm really excited by the true-to-form plot synopsis and the fact that they chose to leave the show in 60s and not set it in the 21st century. And Hugh Grant is Mr. Waverly! Plus, Ritchie should make Man From U.N.C.L.E. the fun action spy film it should be. We'll see if I'm in any way right to be kind of into this when it comes out on August 14, 2015.